You know what’s really annoying? Paying for stuff like parking. And insurance. And getting the boiler serviced. Stuff that you have to have, but which isn’t fun like, say, theatre tickets or a new set of golf clubs. But what’s even worse than paying for that need-not-want stuff is paying more money than you actually have to for it. You probably already know that colour printing costs more to actually print than black and white (or mono, as we say in the trade). But did you realise that it also costs more to scan? The machines used to do colour scanning aren’t quite as quick as the black and white (sorry… mono) ones, which makes them more costly. Plus the scanned data files are also slightly bigger for colour images, which means they take up more data storage room, which could be another issue. Not only does single sided printing double your expenditure on paper, it also means the volume of paper you need to store is doubled. Given that you pay for your storage by the square metre – whether you use a secure off site service like the one at Scan Film or Store, or the office space you’re currently paying rent on – it makes sense that reducing the volume you need to store will reduce costs. Plus, it’s better for the environment, which is a very good thing indeed. Top tip: set your printer default to double-sided so you don’t have to remember each time. Scanners don’t like staples. It makes them cranky and they have a tendency to stop working if you shove any through their inner workings. Which is why we remove all the staples we come across while preparing our clients’ documents for scanning – each and every one of the blasted things. Which, as you can imagine, takes time. Less staples, less faff, less cost. Simples. Or any sticky attachment that you might enlist to add information or draw attention to something on your original document. These sticky notes also have to be removed and scanned separately, otherwise there’s a risk that a) they’ll get stuck in the scanner (see note on staples) or b) they’ll obscure something important on the pages to which they’re stuck. Writing comments directly onto the page is the simplest way to solve that problem. Actually, this isn’t really a money issue. It’s not going to cost you more or less to scan an image depending on what colours you use. You can go nuts with a whole rainbow of them, if you like. But it’s worth noting that the darker the highlighter, the more likely it is to obscure the text when it’s scanned. Yellow is also out, because it will barely be seen on a scan it all, especially on a black and white (mono!) scan. Your best bet is pink or orange. We just thought you’d like to know. 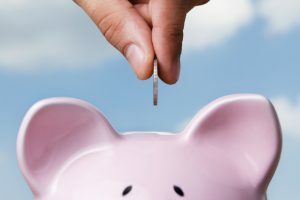 So there we have it – a few things you can do to save pennies on your document management. And we all know that if you look after the pennies, the pounds look after themselves. Which means you could treat yourself to those new golf clubs after all. If you want to find out more about managing the paperwork where you work, drop us a line today.